Getting professional termite control services can be very expensive, that goes without saying. Because of this, many people out there are beginning to wonder whether they can eliminate termites by themselves and whether choosing this route will be effective or not. If killing termites are something you’re considering then you happen to be exactly where you need to be right now. Out of the numerous rodents, critters, insects and other pests, the termite is arguably among the most dangerous of them all. Termite is a pest that has the ability to completely destroy the foundation of your house in just a couple of years or so. And that’s not even the worst part, which is for the first few years they’re basically unnoticeable. What this means is that they attack with no warning at all. Horrible no? Anyway, let’s take a look at a few ways you can get rid of termites and eliminate infestation. If you happen to be the type that’s a bit cautious of having large amounts of pesticides being sprayed all over your home then you might want to consider trying out this technique. With poisoned bait, you won’t have the need to use pesticides. The bait you set will attract termites that are foraging around and these termites will eventually carry this bait back to where the colony resides. You can place this bait in and around the whole house. Some products go as far as having a detecting system as well aside from the bait itself. When installed, these types of bait systems will alert you when the bait is consumed. You can do this yourself or hire a professional. The costs of professional services vary and mytermitetreatmentcosts.com can help you determine the different costs available to you. Oh, and pest control professionals also employ the use of bait systems sometimes. This method may not have the ability to kill the termites already infesting your home, however, it happens to be a fantastic way of preventing them from getting in. The idea behind this technique is to surround your home completely in a pesticide barrier that’ll poison any termites upon contact. While many commonly use it around the foundation of the house, you can also use it around certain wooden structures, tree stumps and wood piles. Termidor happens to be one of the most effective of them all when it comes to products of this nature. Termites can’t detect it at all and it is very hard for them to avoid something they can not see nor smell. While both poisoned bait and liquid barrier treatment are very effective when handling the outside of the house, there use isn’t really practical for the inside of the house itself. Yes, they can kill termites but they can’t be used directly within the house. When you spot termites inside crevices found in your walls, rafters or attic, you’ll probably need something that can handle these annoying little critters right there and then. In such cases, direct chemicals will usually be your best bet. Most of these products come in a foam or spray, sprays being the ones that are most commonly used around the globe. With this method, all you need to do is locate the crevices and voids where the termites are and then spray the chemical or apply the foam. An ‘in-between’ solution that many people consider to be the best when it comes to the debate of natural solutions vs pesticides in pest control is boric acid. This method works on a number of insects, including the termite, It is theorized that this acid attacks the insect’s metabolic and digestive system. After the initial contact, it is known to take from around three to seven days before the exposed termite dies. And while it’s not exactly a natural solution, it happens to have much lower toxicity levels as compared to most of the other pesticides found on the market. Borax, as it’s also commonly referred to, is widely available and is often found in powder form. However, you can also find it as a borate solution. When in powder form all you need is a good quality powder duster and then apply it by dusting the affected areas. Your home is undoubtedly a very precious thing and pests should in no way be the cause for you to re-investment in it. They shouldn’t be the ones to decide for you whether you need to put in money into fixing it up again. Hopefully, these few methods highlighted in this article will help you ensure that this does not happen to you. Not too long ago, mountains of old tires were to be found in virtually every town and city’s landfill, and toxic tire fires that would sometimes take months to subside were a common occurrence. Today, these tire piles are a rarity, and thankfully, so are the fires that used to go with them. We have largely to thank the combined initiatives of scientists, entrepreneurs, and legislators from banishing unsightly these unsightly tire piles from the landscape. Today you’re more likely to see old tires in your yoga mat or the asphalt you drive on than in ugly piles that you can see from the distance. 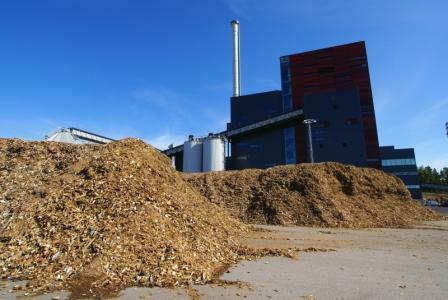 However, there have been questions about the widespread use of tire chips, especially in playgrounds, as mulch, and as repurposed water containers for agriculture and livestock. These concerns are quite understandable, as we are in direct contact with tire chips when they are used in the first two applications. When used for agriculture and livestock, there seems to be a distinct and logical risk that any toxins that are released in those applications may eventually end up in our bodies. Provided that you are not the one processing the tires yourself (more on that later), there is an extremely low toxicity risk in tire chips. A typical tire chip is made from old tires, which means that they have already off-gassed much of their volatile organic compounds (VOC’s). New tires emit a good amount of VOC’s, which you can readily detect because of the unique new tire smell. Many of these compounds have been linked to cancer. 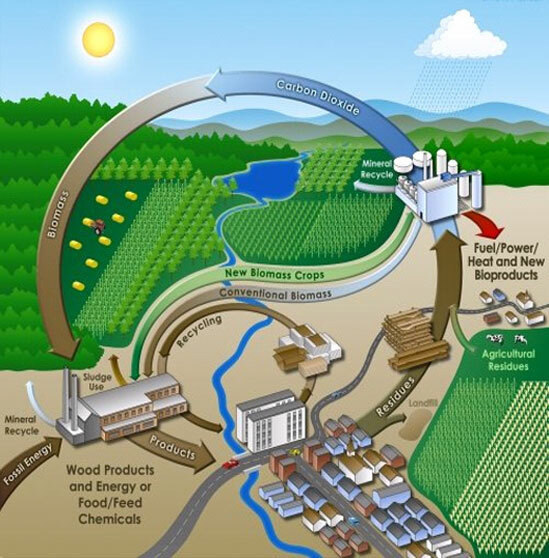 However, decades of research and uncontrolled use of old tires in different applications through the 20th century seem to strongly indicate that unless you are actually involved in producing or processing tires, your risks are quite low due to the low dosage of chemicals a typical consumer can expect. It’s the doses that makes a chemical toxic, and in the case of old tires where most tire chips are derived, the risk is negligible. However, working in an environment where you can actually smell the “new tire scent” constantly can be a significant risk. By analogy, a bartender will be fine if they have a drink with one customer. But if they drink with every single customer that comes by every night, they’re in serious trouble. Unless you constantly work with tires, the risk is quite minimal. You can and should feel free to recycle or repurpose any tires you have around your house or yard into furniture, tire swings, planters, or pet beds. However, if you’re thinking of recycling dozens of tires a week, you should reconsider, as the particulate dust from carving up or shredding old tires can also be a risk over time if you don’t have the right equipment or safety gear. Improper tire recycling can also heighten your exposure to dangerous chemicals in the tires, especially when they are subjected to the heat of a grinder or shredder that is not specifically meant for tire recycling. This can expose you to high levels of carcinogenic VOCs without you realizing it. If you need to safely dispose of a high volume of tires, or tires that are difficult to recycle, such as those on tractors and OTR vehicles, be sure to contact a professional recycler like Western Tire Recyclers. 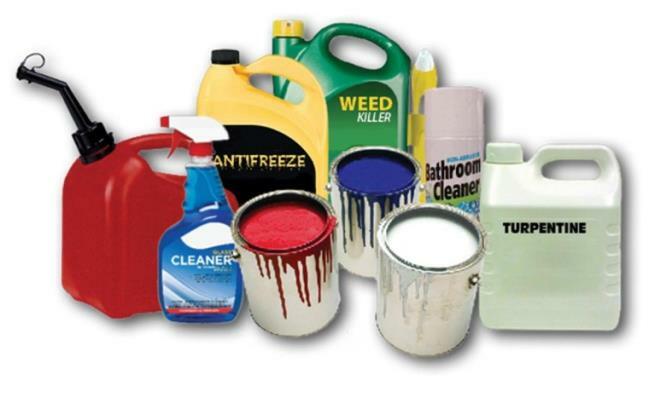 Household Hazardous Waste (HHW) are leftover household products that contain corrosive, toxic, ignitable, or reactive ingredients such as paints, cleaners, oils, batteries, pesticides etc. HHW contain potentially hazardous ingredients and require special care and safe disposal. A typical home can contain a vast array of household hazardous wastes used for cleaning, painting, beautifying, lubricating and disinfecting the house, yard, workshop and garage. The chemical-based household products from a single home may seem insignificant; but, when millions of homes use similar products, handling, storing and disposing them improperly may have the combined impact and becomes a major problem. Automotive products: Gasoline, motor oil, antifreeze, windshield wiper fluid, car wax and cleaners, lead-acid batteries, brake fluid, transmission fluid etc. Home improvement products: Paint, varnish, stain, paint thinner, paint stripper, caulk, adhesives etc. Pesticides: Insecticide and insect repellent, weed killer, rat and mouse poison, pet spray and dip, wood preservative etc. Household cleaners: Furniture polish and wax, drain opener, oven cleaner, tub and tile cleaner, toilet bowl cleaner, spot remover, bleach, ammonia etc. Other: Household batteries, cosmetics, pool chemicals, shoe polish, lighter fluid, prescription medicines etc. Each year, thousands of people are injured by exposure or accident involving hazardous household products. Because of the dangers they pose. These products require special awareness, handling, and disposal. In order to protect health and environment, every consumer should know how to properly use, store, and dispose of hazardous household products. Many common household products contain hazardous chemicals. Once released into the environment, these substances may pose a serious threat to living organisms. Small quantities of hazardous substances can accumulate over time to reach dangerous levels and contaminate the air, water, and soil. Select the least toxic item and buying only the minimum quantity as required. Read the entire label carefully for health warnings and use good judgment when choosing any product. Store the product at a safe place and away from the children reach. Always use hazardous products in a well-ventilated area. Never leave containers open. Many products are volatile, evaporating quickly into the air. Always seal containers tightly after use. Never mix chemicals and hazardous products. Do not use spent chemical containers for other purposes. Wear protective clothing such as gloves and a mask when dealing with any hazardous material. Wash clothing exposed to hazardous materials separately from other clothes. Clean up the place after using hazardous products. Carefully seal products and properly refasten all caps. Never put hazardous products in food or beverage containers. Keep products away from sources of heat, spark, flame or ignition. Know where flammable materials are located in your home and how to extinguish them. Keep a multi-purpose dry chemical fire extinguisher in your home. The pharmaceutical industry has a substantial impact on the environment, especially when the materials used to make them and the chemicals that comprise make their way directly into the environment. The pharmaceutical industry at large as well as average consumer can take steps to make of use of medicine more sustainable through both significant and relatively minor changes. The drugs that we consume naturally enter our environment as our body turns them to waste. This issue becomes exacerbated when people intentionally dispose of unused medicine by flushing it down the drain. Although our water treatment systems are designed to take contaminants out of our wastewater before we re-introduce to the natural environment, some still get through. These contaminants, which include those in medications, can damage the ecosystems they end up in. High levels of estrogen in waters due to birth control, for example, can hamper the ability of fish to reproduce, reducing their population size. Once those chemicals find their way into the water, they enter the food chain and eventually impact animals that live on land too, including humans. Plants will absorb the chemicals from medications. Animals then eat these plants or drink the water and ingest the contaminants. Humans might drink the water or eat the plants or animals, making pollution from pharmaceuticals a human health hazard as well. This problem becomes worse in the summer when livestock such as cattle require two to three times as much water as they do during other times of the year. If you have unused medications that you need to get rid of, don’t flush them down the drain or throw them straight into the trash. The U.S. Food and Drug Administration (FDA) recommends one of several other options for the safe and sustainable disposal of medicines. Some communities have drug take-back programs that the Drug Enforcement Administration (DEA) approves. Some pharmacies also allow you to mail in or dispose of unused medications at kiosks. The DEA also organizes a national drug take-back day. Although certain medications have recommendations on the label to flush them, you can dispose of the majority of them in your regular trash at home. The FDA recommends mixing them with something unpalatable such as dirt, kitty litter or coffee grounds in a plastic bag that you can seal. This disguises the drugs and prevents pets from getting into them. You can then throw the bag away. If you are a throwing away a prescription medication container, be sure to scratch out all potentially identifying information to protect your privacy and identity. Another option for reducing the impact your use of medicine has on the environment is to use less of it or use more environmentally friendly medications. To use less medicine, only use it when you truly need it and try substituting natural remedies for pharmaceuticals. Reach for naturally derived treatments such as essential oils, vitamins, herbs or a cup of hot tea. Always consult with your doctor before changing your medication regimen. As a long-term strategy, regular exercise and a healthy diet can do wonders in improving your overall health and decreasing your need to take medicines. Of course, making the pharmaceutical industry more sustainable isn’t the sole responsibility of the consumer. The industry can also change its practices to manage pharmaceuticals in a more environmentally friendly fashion. One aspect of this involves energy use. The manufacturing and transportation of medications can be extremely energy-intensive. By using energy more efficiently and using cleaner energy, drug companies can reduce their environmental impact. Pharmaceutical industry can change its practices to manage pharmaceuticals in a more ecofriendly manner. These corporations can also make an effort to include more eco-friendly substances in their medications. While they may not be able to remove every non-natural chemical from their products, they can offer greener alternatives to consume and look into reducing the presence of damaging substances as much as possible. This applies not only to the organizations closest to the consumers but to the entire supply chain. Medications are often vital to our health, but it can also have a negative impact on the health of our environment. Taking steps to manage pharmaceuticals more sustainably can enable us to protect our own well-being as well as that of our environment.